I will be the first to admit it, I have a font problem. Have you seen Sky Fonts? It is a cloud based font system that syncs any fonts you purchase at My Fonts (my favorite) and also syncs Google fonts! You don't have to install all of them on your computer anymore!! I have been using it since last fall and it works like a charm. Best part is I don't have 2500 fonts installed and slowing my system down, give it a shot you will be glade you did. You can find more of my font posts here. I wanted to bring you another round of some of my favorite fonts. This collection is 9 lovely, thin script fonts. They work great in logos, card design or scrapbooking. I am partial to Showcase Script at the moment, I mean look at that L and t.
Do you have any favorite fonts at the moment? I'd love to see yours in the comments below! Today I am finishing my 2013 posts with a look at my favorite free fonts. There is once again a mix of just about every type of font you can imagine, hopefully there is something new here for you to enjoy. Incase you missed it yesterday here are my favorite paid fonts for 2013. We are days away from a brand new year! I love the feeling that a fresh start is upon us, a clean the slate if you know what I mean. 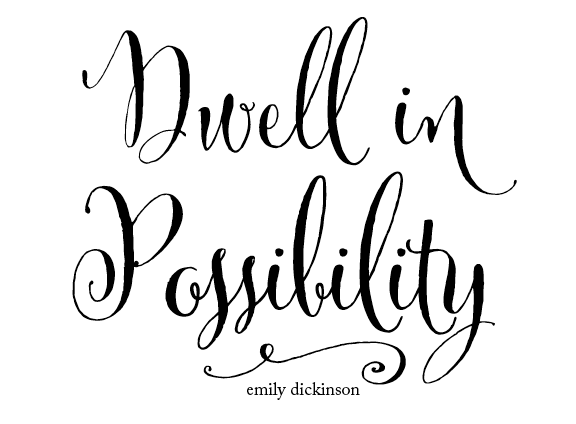 I can't close out 2013 without a list of my favorite fonts (and some encouraging phrases for the new year). There is a great mix of fonts, casual and handmade to fancy calligraphy fonts. Today's list is all paid fonts but don't worry, I will close out the year tomorrow with a list of my favorite free fonts too! Leave me a comment and let me know what your favorite paid fonts are this year too! Are you feeling the Christmas spirit? I sure am! I have used these in my own work and hope you enjoy them too, hopefully there are a few hidden gems here you didn't know about! There is a wonderful mix here of fancy script to simple, and handmade. One of them is sure to be perfect for almost any holiday project! Happy Thanksgiving to you and your family! A while back I posted about some of the fancy fonts I've been using, you can visit it here. To date this post is still one of the most popular on my site. Fonts are one of those things that is constantly changing and being added to so I thought I would do a similar post with more of my recent purchases. There are some fabulous new "fancy" fonts on the market right now, I hope you enjoy them! I love this quote and it has definitely been one I've turned to in my own hard times. I am constantly telling my kids you never know what God has in store for you, this is a virtue I want them to always consider. I created a free 8x10 printable you can print or send to your favorite lab and have printed. It will look lovely in a frame, a great statement for your office or a special place in your home. You can download yours here. Lately there have been a ton of great new calligraphy fonts brought to the market and Cantoni is another one of those. There are a ton of glyphs that come with this font (even the lovely swirl above) PLUS it's on sale right now! Head on over and support a new font designer, not to mention the beauty you will bring into your font collection! Buy Cantoni here. In the post from yesterday I shared some of the things giving me joy in my life right now along with a great quote and free printable. I am in love with all of the lettering by Great Lakes Lettering, have you seen the newest Amethyst? Icing is one of the fonts I've found myself using a fair amount lately. I love the imperfect feel and the tall skinny nature, it works for so many things! You can buy Icing here, I encourage you to support a great font foundry! My kids had the book fair at school this past week. They had asked me for money and I told them they needed to use their own money this time, hoping it would place more of a value on the things they decided to buy. I told them they each could spend $10 of their money on a book or two but no more. Nothing more was said all week and I thought they had either forgotten or weren't really thrilled with the thought of spending the money they had worked hard for. Fast forward to Friday when they get in the car after school, it took them an extra 20 minutes to get out of school so I knew exactly where they were. My oldest pulls out a book she bought for our youngest daughter Olivia, I was very impressed she choose to spend some money on her little sister. A few minutes later she reaches in and pulls out a book for me. A Mother's Day book full of quotes and beautiful images. Click here to download your free 8x10 copy for your own personal use. If you want to have it professionally printed I recommend MPix.com. I hope you have a wonderful day with your family and enjoy the printable, it looks lovely in a white frame! There are two versions included. Fonts used are Carolyna Pro, Love Potion, Jacques & Gilles and Little Miss Sunshine Filled.